Your completed booklet is due tomorrow. Your completed booklet is due on Thursday. Get your test signed. Work in your booklet due next Thursday. Work in booklet due on Thursday. Your test on the concepts covered in the project will be given tomorrow. Work in booklet due on April 11. Your test on the concepts covered in the project will be given Wednesday. Your completed project is due tomorrow. Please make sure that your written reflection is well written and complete. Your test on the concepts covered in the project will be given next Wednesday. Work on Task 7 and the written reflection. Both will be due on Friday. You will be having a test next week Wednesday to review all of the skills used in the Water Park Project. There is no written homework for tonight. Make sure that all of Task 5 is complete and is ready to be corrected. Task 5 is due tomorrow. Check over Task 4 and start working on Task 5 of your project. Complete Task 4 for tomorrow. Finish Task 3 of the Water Park Project for tomorrow. This includes drawing the red lines on the small blueprint. You will be having a quiz tomorrow on slope. Please study using the graphic organizer. You can begin to work on Task 4 that will be homework tomorrow. Please bring in pennies for Monday's lesson tomorrow. Bring in extra and get a math $!!! Finish worksheet for Thursday. All entrance points must be recorded by the end of class on Thursday. Your Extra Credit assignment is due tomorrow. Complete on Castle Learning, Math 8 Slope #1. Show all necessary work on LL. Get your test signed. Look over the graphic organizer on slope. Work on Extra Credit assignment due on Friday. Get test signed. Make sure that all of the workbook pages from Tuesday are completed and you also completed Polynomials #3 on Castle Learning. All work for this is to be done on LL. Start preparing for your test on Wednesday! Your booklet is due tomorrow. Your booklet is due on Thursday. Tomorrow is your quiz. Please prepare for this assessment! Finish up any of the workbook pages you did not complete. The pages are: p.149 2-20 even, p.151 8-16 even, p. 156 32-35 all, and p. 157 12-20 even. Your booklet will be due on Thursday. On Wednesday you will be having your quiz on dividing and multiplying polynomials, finding the GCF of a polynomial expression and factoring. Work in the new booklet on factoring. This booklet will be due next Thursday. On Wednesday you will have a quiz on dividing and multiplying polynomials, finding the GCF of a polynomial expression and factoring. Your first booklet is due tomorrow. You can begin to work on the second booklet due next Wednesday. You will also be having a quiz on on that day on what we have covered in factoring and division of polynomials. You will meet with your partner again tomorrow to finish up the Pair/Share Activity. Complete Polynomial Review #1 on Castle Learning. All necessary work is to be done on LL. Complete workbook p. 145 2-10 even and p. 147 2-10 even. Please prepare for your quiz that will be given tomorrow. Work on the worksheets on adding and subtracting polynomials. Your second quiz on polynomials will be given on Wednesday of next week. This quiz will cover adding and subtracting polynomials, finding the degree of a polynomial, and multiplying two binomials. Tomorrow is the last day to hand in your quiz and test signed. In your workbook, please complete p.142 26-42 even. You will be having your quiz on polynomials tomorrow. The paper on Dr. Martin Luther King Jr. is due tomorrow as well. You will be having your quiz on polynomials on Thursday. The paper on Dr. Martin Luther King Jr. is due on Thursday as well. Prepare for your assessment on transformations that will be given tomorrow. Complete the review sheets on transformations for Monday. The two Castle Learning assignments on transformations are due on Tuesday and your test on transformations will be given on Wednesday. Your completed graphiti is due tomorrow. Your test on transformations will be given on Wednesday, December 19. Workbook p. 317-318 1-9. Your test on transformations will be given next Wednesday, December 19. The Google Classroom assignment on translations will be due tomorrow. The Google Classroom assignment is now due on Tuesday, December 4. The Google Classroom assignment is due on Friday. In your workbook, please complete p. 25 12-40 even and on p. 26 54,56,57 and 59. Your test on exponents will be given on Thursday. Get your quiz signed. Tomorrow we will be going over #21-38 on the exponent sheet. Your test on exponents will be given next Thursday. Your quiz on exponents will be given tomorrow. Please go over all of the exponent rules. Complete # 21-38 on the exponent sheet for Wednesday. You will be having a quiz on exponents on Thursday. Castle Learning- HS Test #3 due tomorrow. All necessary work on LL. HS Tests #4 and #5 can be completed for extra credit. You will have up until Monday is you would like to do the extra credit. Your test on scientific notation will be given tomorrow. For tomorrow you must have Scientific Notation #1 on Castle Learning completed. All necessary work is to be done on LL. In your workbook, please complete 26-40 even on p. 42 for tomorrow. Your activity on Pluto is due tomorrow. You will be having a test on scientific notation on Tuesday October 23. Workbook p.44-45 2-24 even #'s, and #'s 29, 30,33,35,37,39,44,45,46,50,52,53,54 and 55. Your Castle Learning assignment, HS Test is due tomorrow. All necessary work is to be done on LL. Finish p.43 2-24 even in your workbook. Castle Learning - HS Test #2 due Thursday. All necessary work on LL. Your booklet is due on Tuesday. You should continue to work in your booklet which is due on Tuesday, October 9. Your test will be given tomorrow. Continue to work in the booklet that is due on Tuesday, October 9. Your test will be given on Wednesday. Tonight, please work in your booklet. In your workbook, please complete p.39-40 even #'s. Your test will be given next Wednesday. Please use the outline given in class today to study. Castle Learning - HS Test #1 is due tomorrow. All necessary work is to be done on LL. No calculator is to be used. You will be having a test next week. An outline will be provided for you this week. Your Pair/Share must be done by tomorrow. In addition, please finish on Google Classroom, Number Systems Exploration for Tuesday. For Wednesday, please complete Castle Learning -HS Test #1. All work is to be done on LL. We will be completing the Pair/Share Activity the next time we meet. Please look over the handout on Google Classroom on Number Systems. Your Pair/Share Problems are due tomorrow. Study for your test that will be given tomorrow. Please get your quiz signed. Your Pair/Share Problems are due on Thursday. Prepare for your test that will be given on Wednesday. Please finish your problems on the Pair/Share Activity for Thursday. In addition, finish up the two sheets on the Pythagorean Theorem for tomorrow. Get your quiz signed. Your test on the Pythagorean Theorem will be given next Wednesday. The two sheets on the Pythagorean Theorem are due on Tuesday. All work must be shown for all problems on LL. The two sheets on the Pythagorean Theorem are due on Tuesday. All work must be shown for all problems on LL. 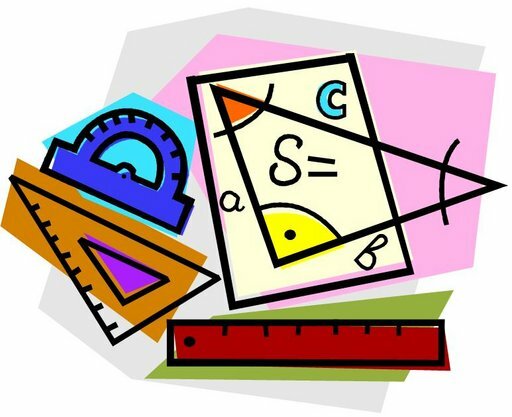 Finish the Castle Learning assignment - Pythagorean Theorem #1 for tomorrow. Start working on the two sheets on the Pythagorean Theorem that will be due on Tuesday, September 18. Prepare for your quiz that will be given tomorrow. In your workbook, please complete p.55-56 3,6,7,8,9,14,16,18,20. Complete the problems on the worksheet on the Pythagorean Theorem for tomorrow. Your quiz on the Pythagorean Theorem will be given on Wednesday. Make sure that you study the triples that I gave you.